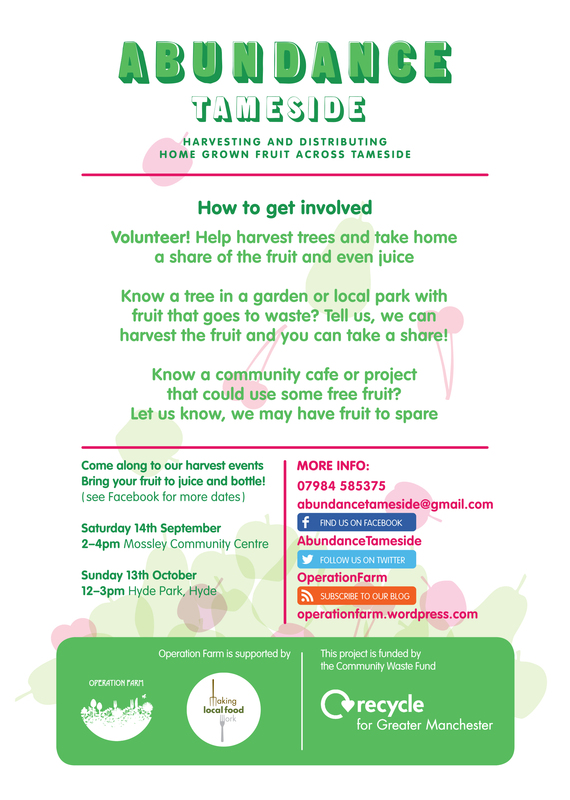 Abundance Tameside is harvesting the seasonal glut of fruit across the borough and redistributing surplus to the local community. The group is looking for volunteers to help harvest trees (with recruits taking home a share of the fruit) and for suggestions of trees in gardens or parks with uncollected fruit that could be harvested. You can also suggest a good cause for the fruit to go to. Click here for all the latest news on Abundance Tameside. 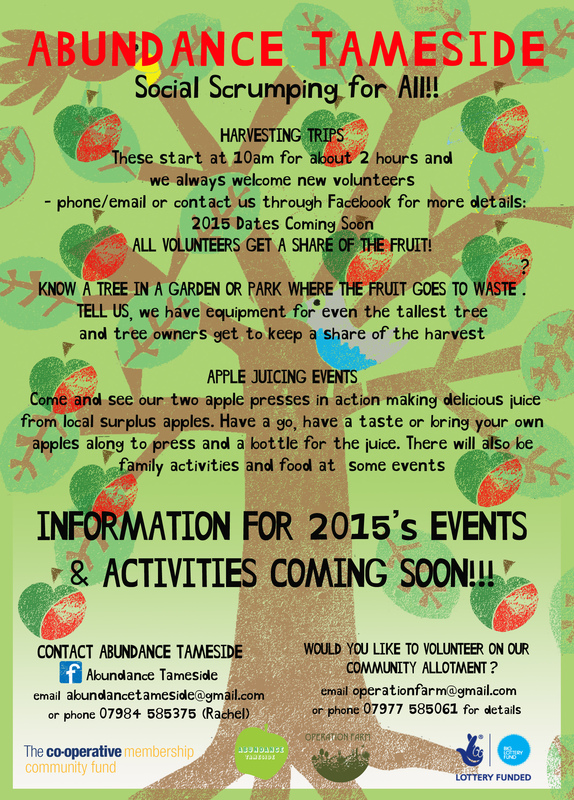 Sign up for regular Abundance Tameside updates.